Offers some new and often surprising answers to the questions of wether information and communication technologies are effective instruments to improve lives OR just deepening already existing inequalities and divisions in the world. Are information and communication technologies (ICT) such as computers, mobile phones, radio, TV, video and the Internet effective instruments to empower people, reduce poverty and improve lives? Or are ICT just deepening already existing inequalities and divisions in the world? In this book, key innovators, leading CEOs, top-level government leaders and grass-roots practitioners offer new and often surprising answers to these questions. It makes their valuable insights and knowledge available to a wider audience and identifies critical areas to be addressed. 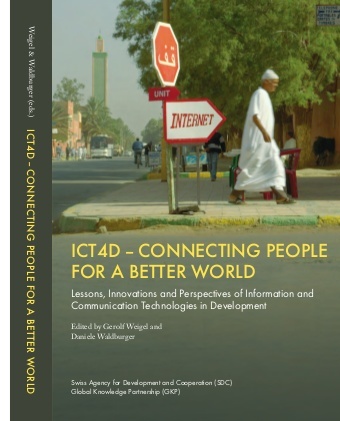 In addition to providing an overview of the actual state of the debate and the opportunities and risks of ICT for development (ICT4D), the book includes lists of toolkits, web resources and publications related to concrete implementation. It is intended to stimulate the interest and awareness of people beyond the immediate ICT4D circles, particularly those who are still sceptical. "The issue is whether we accept that the poor should, in addition to the existing deprivation of income, food and health services, also be further deprived of new opportunities to improve their livelihood. The strategic choice is whether to accept the rapidly growing gap caused by a very asymmetric architecture of opportunities or whether to use ICT in a creative manner to level the playing field in economic, social, cultural and political terms."